Mr. Kempe spent eighteen years working for GE, the last fourteen years of which was with GE Healthcare (GEHC) in a number of Strategic, Operational and Financial leadership positions in the U.S. and Europe. He is the former Director of Strategic Alliances & VP Home Health at GEHC and, during 2010-2014, drove the development of a new segment (Home Health) through the creation of a Joint Venture between GEHC and Intel Health (Care Innovations $250 million). Additionally, he managed GEHC’s investment portfolio (20 companies / $500 million) and created the office of External Funding, securing a contract with Qatar Foundation in 2013. Based on his extensive industry relationships and strong strategic and operational expertise, Mr. Kempe will focus on deal sourcing for 37celsius, business expansion and integration of its portfolio companies. 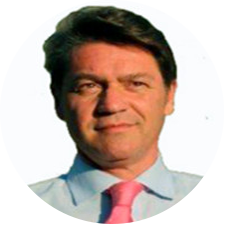 Mr. Friedmann spent twenty-two years working in the Healthcare industry, and the last fourteen years with GEHC in a number of Strategic Marketing/Sales and Market Development roles in the EU. He is the former Chief Marketing Officer at GE Healthcare South Europe, where he developed strategic partnerships with large (50M€+) Public-Private Partnerships, including hospital deals, Abbvie (Fit4Work program) and Medtronic (intraoperative CT & MR). Additionally, he developed and executed various go-to-market efforts for a number of products, including the introduction of innovative oncology & neuro technologies and the deployment of the Barcelona Cardio City program. Based on his strengths in market development and creating strategic partnerships, Mr. Friedmann will focus on strategy, alliances and solutions for 37celsius’ portfolio companies. 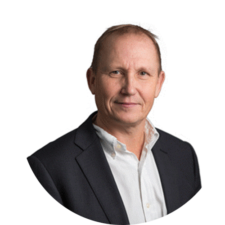 Mr. Eklund has 25 years of Investment and M&A experience and extensive healthcare experience with focus on growth stage companies. Mr. Eklund is the former CEO and Head of Europe at Investor Growth Capital, where he built up and managed a portfolio of over 30 transactions with 2.5B SEK invested, and subsequent exits in the Nordic region. Prior roles include Investment Director at Alfred Berg ABN AMBRO Capital and Vice President at Handelsbanken. Mr. Eklund is actively involved on several boards in the capacity as Chairman for Moberg Pharma AB and Itrim AB, and board member of Boule Diagnostics AB, Biotage AB, Neoventa Medical AB, Memira AB, and Surgical Science. Based on his experience with growth stage companies within the healthcare sector and his extensive industry relationships, Mr. Eklund will focus on actively providing advice as a member of the investment committee and in part will be focused on identifying, evaluating, and structuring new investment opportunities. A seasoned deal professional with ten years of M&A, capital markets and strategy experience, including five years in the healthcare industry. Has held roles of increasing responsibility in middle market M&A investment banking and growth private equity, focusing on transactions of $100-500 million in size across multiple industry sectors, in addition to healthcare corporate development driving strategic acquisitions, divestitures, minority investments, partnerships and portfolio strategy. He has completed over 20 strategic transactions totaling in excess of $2 billion in aggregate deal value. The focus will be on investment execution and portfolio monitoring. Tommy G. Thompson is the former United States Health and Human Services (HHS) Secretary and four-term Governor of Wisconsin. Following his term in public office, he built, and continues to build with his work at Thompson Holdings, on his efforts as HHS Secretary and Governor on improving the use of information technology in hospitals, clinics and doctors’ offices; promoting healthier lifestyles; strengthening and modernizing Medicare and Medicaid; and expanding the use of medical diplomacy around the world. From 2005 until 2009, Governor Thompson served as a senior advisor at the consulting firm Deloitte LLP and was the founding independent chairman of the Deloitte Center for Health Solutions, which researches and develops solutions to some of our nation’s most pressing health care and public health-related challenges. He currently serves on the Board of Directors of the following public companies: Physicians Realty Trust and TherapeuticsMD, Inc., each as Chairman of the Board of Directors, Centene Corporation, C.R. Bard, Inc., Cytori Therapeutics, Inc. and United Therapeutics Corporation. 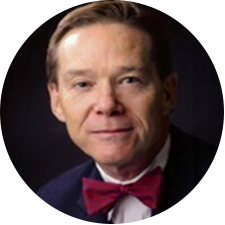 Dr. Albert is a physician, inventor and serial entrepreneur who has developed medical and other life-saving technologies and products over the last 30 years, turning a number of those innovations into tech startups. Today, he is a founder of three tech companies, InnovAlarm, Lifetone Technology and AliveCor. His previous startups include Corazonix Corp (sold to Arrhythmia Research Technology and Data Critical (sold to GE). Dr. Albert left GE in 2004 as Chief Scientist of GE Cardiology to disrupt several new markets. Dr. Albert has 37 issued U.S. patents. Also, he has authored or co-authored over 50 scientific abstracts and publications principally in the Cardiology literature. Mr. Ataide is a 30 year veteran of the healthcare industry, with deep domain expertise in a wide variety of medical devices, imaging, and healthcare I.T. markets. 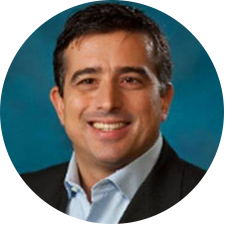 As the Principal of DRA Medical Advisors, Mr. Ataide provides strategic and tactical leadership to companies as they transition towards commercialization. Prior Mr. Ataide held senior level executive positions at GE Healthcare, incl. President & CEO of the Patient Monitoring & Diagnostic Cardiology businesses, a global $1.3B division, and at Philips, as the Chief Marketing Officer of the then $6.2B global healthcare division. Mr. Ataide serves on a number of boards including; Ornim Medical, C8 Medisensors (previous) and chairman of the board at Intelesens. Mr. Ataide holds a Master of Science degree in Nursing Administration and Critical Care from the University of California at San Francisco, San Francisco, California, and a Bachelor of Science Degree in Nursing from San Jose State University, San Jose, California. 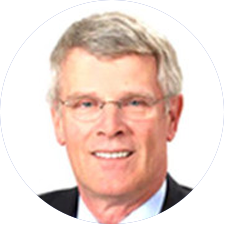 Dr. Ken Melani is a seasoned executive with over thirty years of experience in the health care industry. As President and owner of KRM Group, LLC, Dr. Melani provides consultative services to health care service companies, pharmaceutical manufacturers, and private equity firms. 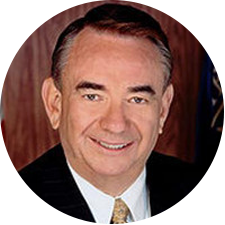 Before starting KRM Group, Dr. Melani was President and CEO of Highmark Inc., where under his direction; Highmark grew to be the seventh largest insurance company in the United States with over 32 million covered lives and over $15 Billion in revenue. 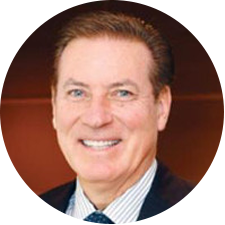 Dr. Melani’s contribution as a board member with organizations such as Telcare, Xodus Medical, Melanovus, Carmolex, MedExpress and others has provided invaluable visionary guidance fueled by his vast experience and success in the healthcare industry. Dr. Melani has an undergraduate degree in Chemistry from Washington & Jefferson College, and a medical degree from Wake Forest University’s Bowman Gray School of Medicine. 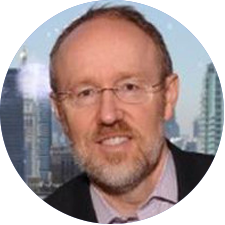 Mr. Wasden is a leading digital technology innovation consultant, professor, author and thought leader with more than 15 years of Healthcare industry experience. In addition, he has been an executive with startups and innovation acceleration. Mr. Wasden is the former Global Healthcare Leader at PWC. His prior roles include CEO of Tympany (medical device company) and CEO & Chairman SimplexityMD (medical device accelerator). He has authored over 60 articles on digital health technology and transformation.